​Whether you’re looking for the refined elegance of Canvas, the contemporary styling of Metal, or the modern look of Acrylic, KreativTouch has it all. We use only the finest quality professional-grade materials, for vivid life-like colors that will look amazing and withstand the test of time. Choose a style that’s right for you and turn your favorite photos into fine art. ​If you like metallic photo paper you'll love Metal Prints from KreativTouch! Your images are infused right into the surface of a sheet of metal for a look that you'll need to see to truly appreciate. The result of our process is a rich iridescent sheen, vivid colors, and detail that can't be matched by conventional prints. 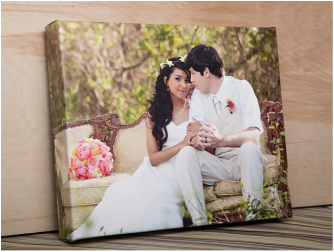 Give your images the fine-art treatment they deserve by printing them on canvas! Available in multiple sizes, these elegant gallery wrapped canvas prints come stretched and ready to hang. Portraits, landscapes, wedding photos, and subjects of all kinds are enhanced by the subtle texture, and refined presentation of digital canvas printing. 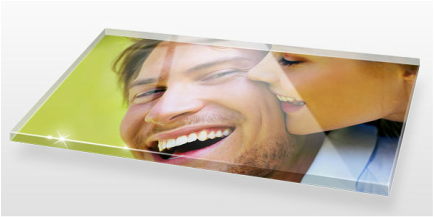 Display your pictures with the beautiful and modern look of polished acrylic. The glossy surface of our premium quality acrylic prints gives incredible vibrancy and color to your images, while the polished metal standoffs frame and support your image. Please enter your Email Address and click JOIN.